The International Center for Chinese Studies (ICCS) at Aichi University was established in 2002 as a global research and education institute for contemporary Chinese studies after being selected by the Ministry of Education Culture, Sports, Science and Technology as one of the 21st Century COE Programs. ICCS is partnering with major universities and research facilities around the world to collaborate on the creation of the Remote Multilateral Communication System (RMCS), an international network for promoting research and education on contemporary China. The center aims to become the RMCS hub center. Moreover, ICCS further promoted international development by setting up sub-centers in Renmin University of China (Beijing) and Nankai University (Tianjin) in 2004, and established the Japan-China Cooperative Research Center for Western Development in 2005 through an affiliation with Ningxia Academy of Social Sciences (Yinchuan-city, Ningxia Hui Autonomous Region). ICCS utilizes RMCS to develop dynamic research activities on an international scale through the participation of researchers from its global affiliate universities and research institutes. The methodical development of contemporary Chinese studies undertaken by ICCS approaches the discipline from political, economic, and cultural perspectives on modern Chinese studies—an approach seen in relevant academic circles as an ambitious effort. In addition, ICCS offers a graduate-level Dual Degree Program at the two Chinese universities noted above that provides education and research on contemporary Chinese studies for graduate students with the goal of cultivating young researchers. The educational system was created to confer degrees from both the Chinese and Japanese universities in either the master’s program or the doctoral program. 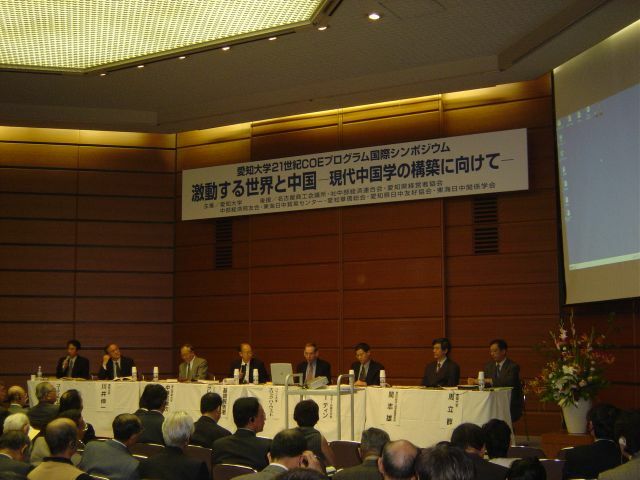 The program has received recognition in Japan as a pioneering initiative. ICCS also proactively nurtures young researchers through a support system that offers students employment as researchers or research assistants.